New York City is full of thousands of ways to fill a day. But nowadays, intellectual hobbies have been suppressed by laziness, inconvenience, and the vastness of the Internet. People don’t bother going to see artwork when they can just see images on Google or blogs. But let me inconvenience you for a minute to say that you are wasting a fantastic opportunity to see priceless art all over the city, for free! 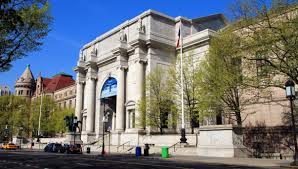 In addition, some of New York’s most famous museums have what is called Suggested Admission fees, where the hosts have a price that a museum guest should pay if they please. But keep in mind, these fees are optional, and you can give less, more, really whatever you want. Don’t forget about Zoos and Gardens. 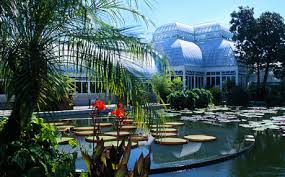 Check out The Bronx Zoo and NY Botanical Garden, which neighbor each other in the Bronx, on Wednesdays when there is a great discount on admissions. It’s summertime, and it’s hot. But that doesn’t change the reality that taking cabs around Manhattan is growing excessively expensive by the month. Also, at times public transportation is just too slow and unreliable. While walking everywhere may be lovely for some, it is quite slow. So why don’t you give biking around the city a shot? I’ve been biking in Manhattan for years, and I have to say it is my absolute favorite method of transportation. At first, it is a little unnerving: the aggressive drivers, the crowded intersections, and sometimes roads riddled with potholes. 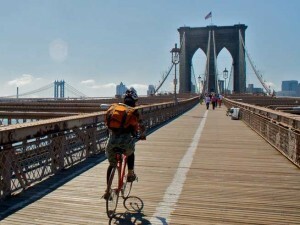 But once you get used to riding around NYC it can be one of the fastest, cheapest, and pleasurable ways to get around. Just get yourself a quality lock and throw your bike on really any pole on any sidewalk. New York City has plenty of groups that try to enhance the biking lifestyle. Biking is healthy as a form of cardiovascular exercise, and it is much more efficient for the environment than cars, buses, or motorcycles. Remember, biking is a practical way to get about anywhere: class, work, a friend’s house, a park, or just biking for leisure. 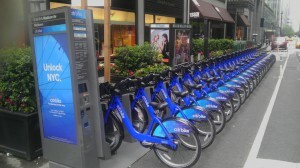 If you’re not ready for the commitment of purchasing your own bike and padlock, take advantage of the Citi Bike program, which provides bikes all over Manhattan and some parts of Brooklyn and Queens. Rent a bike for a day or just a few hours; it’s super convenient. Since I started college, one of the hardest things for me to do is simply go for a run. I used to do it all the time, what happened? 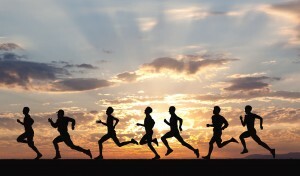 The unfortunate truth about running is that once you stop, it’s hard to get going again. It becomes easy to just sit around with friends or playing around on your computer. We begin making excuses, insisting that we don’t have time for exercise, when in reality going for a run can still be effective if you only run for 20 minutes. On the flipside, however, once you get used to running again, it is one of the most liberating and efficient methods of exercise. All you need is a pair of decent sneakers, athletic clothing and, if you like, some music (hyperlink: http://runningplaylist.net/). Running can be fun for some, but treacherous for others. The panting, the sweating, the pounding, it’s not for everyone. But if you fear the pain of running and, as soon as you start, find yourself wanting to quit, consider the benefits. 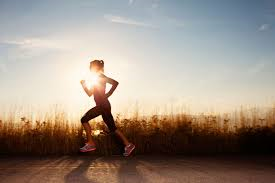 Besides the obvious healthiness of burning calories and improving your physical condition, it has been scientifically proven that running makes you feel good. This article in the New York Times http://www.nytimes.com/2008/03/27/health/nutrition/27best.html) explains the Runner’s High, a sensation that has been compared to euphoria and general lightness. My friend once said, “Running is the opposite of getting drunk: you feel awful during, and amazing after.” This is where the relaxation comes in: taking a long shower and plopping down on the couch after going for a run can be jubilant. And you’ll feel like you’ve finally earned this relaxation. Some of my favorites include Central Park and the East End Boardwalk. Note: for those who find running physically impossible due to health issues or past injures, taking long walks is also valuable for clearing your mind on a nice day. To motivate yourself to go running, go out and treat yourself to some new running sneakers. If you truly dedicate yourself to running, the cost of the shoes will be worth it with your end results of a healthier, happier, and more relaxed self. This summer, I interned at Student Maximus Magazine, a publication that helps students living in the city save money and express themselves creatively. Cassandra Fox, the founder of the magazine and company, is on a mission to give students creative outlets, and is avid about young adults finding their passions and becoming masters of whatever they are most enthusiastic about. She assigned the interns a challenging and rewarding task: to write an eBook about something they truly care about, and to become a master of that craft. College life is crazy. 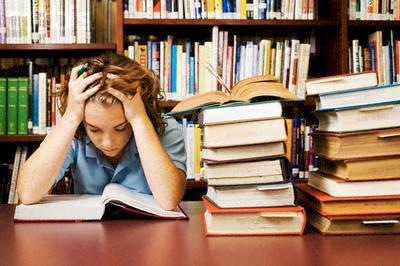 Classes can be overwhelming, socializing can be tiresome, extra-curricular activities can be consuming—at times, finding the balance that allows a student to be happy and busy at the same time seems impossible. I try my best to stay relaxed, but it’s often hard. That’s why I’m trying to master relaxation. It may sound a bit contradictory—relaxation, I suppose, should be something natural and unforced. But I believe we really need to designate times and activities that help us to drop everything and cleanse ourselves of the stresses of college life. That’s why this eBook will focus on the art of relaxation. I will be fleshing out some of the ideas I have compiled from personal experience, as well as my friends’ experiences, and expert advice on leisure and catharsis. My name is Ryan Forman. I am a student at Washington University in St. Louis, and graduated from Trinity School in New York City in 2010. I am a Manhattan native. I enjoy writing, reading, music, hanging out with friends, sports, exercising, going to the movies, and, of course, relaxing. I hope you benefit from my advice.